Jeans; Grane. Red gingham shirt; Old Navy $25 Buy here. Green sweater, H&M (Old. Similar here) . Tan cargo vest; Sanctuary (sample but similar ones in green available on Zappos.com ). Leopard booties; Forever 21.(old. 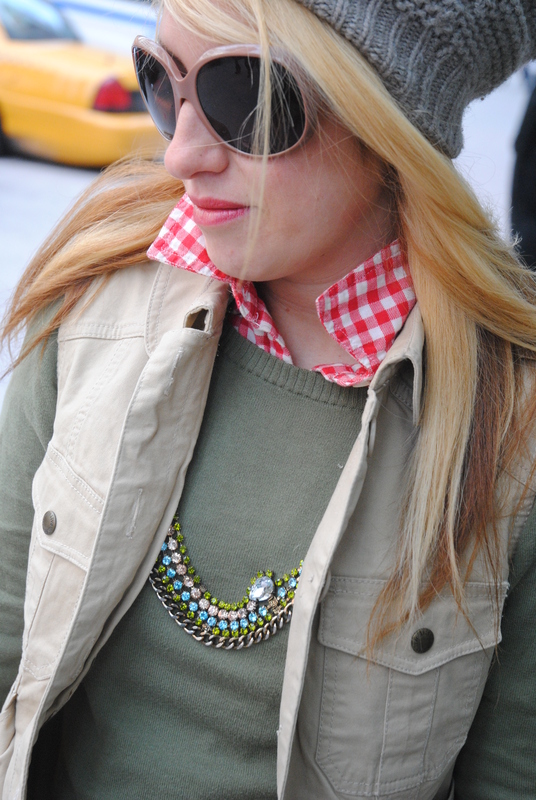 Buy similar here) Crystal necklace; J crew (Sample Sale). Lipstick; L’oreal Electric Fantasie.